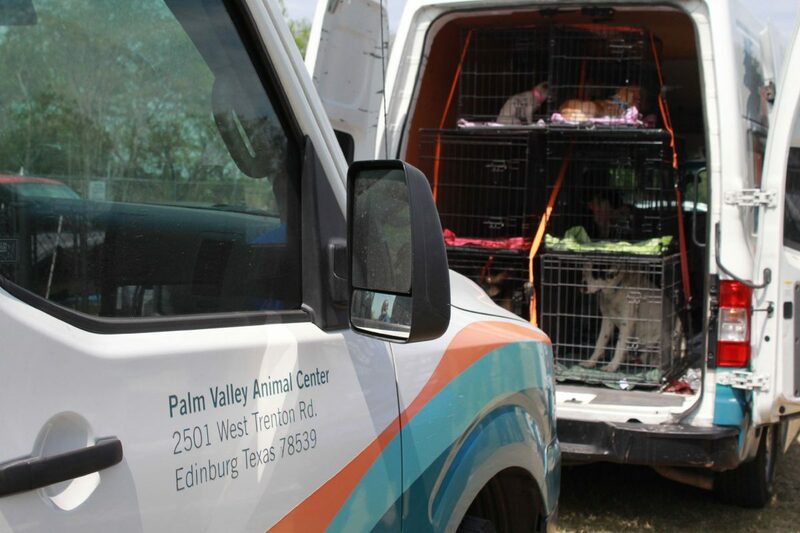 EDINBURG — Just days after the overwhelmed animal shelter here had been at full capacity, Rebeca Villanueva reported, in somewhat disbelief, that there was not a single cat housed in the facility. “I never thought I’d be able to say that,” the director of development at Palm Valley Animal Center said Monday afternoon. More than half of the animals that were in the shelter two days ago are in temporary or permanent homes. Starting Sunday, the shelter began waiving adoption fees and asking the community to take in one of its animals for four days while an internal restructuring takes place. Following a month of widespread online criticism, the shelter is upgrading intake methods with the help of Austin Pets Alive!, Best Friends Animal Society and Maddie’s Fund. Most of the changes focus on the way animals are taken and separated once they arrive at the shelter. 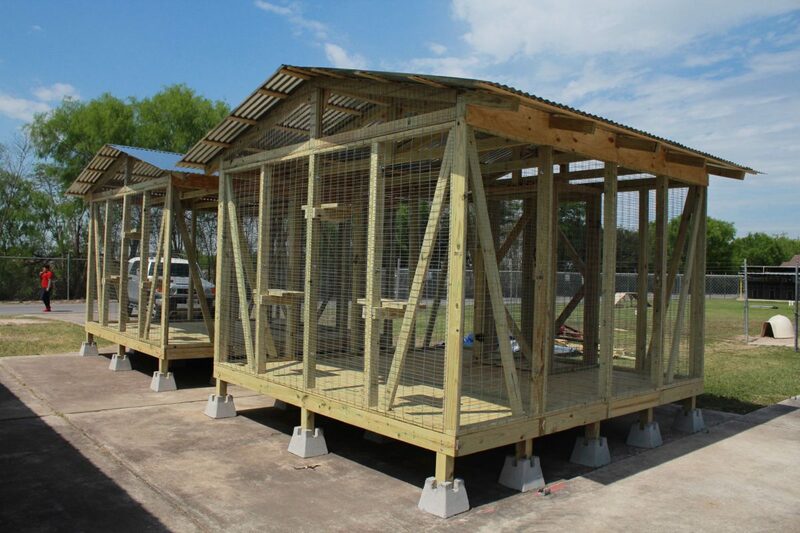 New wooden catios (large, wooden outdoor enclosures) meant to house “community cats,” or cats that have not been domesticated, are also being installed at PVAC. In addition, the center is kicking off their barn cat program, where they’ll place such cats in ranches and farms where they can roam free and hunt rodents. The shelter’s recurring problem continues to be a lack of funds, Villanueva said. “Oftentimes, we don’t get donations for operation costs, but that’s what keeps an organization running,” she said, adding that a lot of their staff has been working overtime the past few days. Ellen Jefferson, executive director of Austin Pets Alive! said most shelters lack adequate funds, but PVAC has a unique need considering its size. One of the things they’re supporting the shelter with is helping them develop a new fundraising strategy. PVAC is a 501(c)3 nonprofit that currently has contracts with 14 municipalities. The cities used to pay a per-animal fee, which PVAC recently renegotiated to a custom flat-fee for each respective municipality. In May 2016 the shelter opened the Laurie P. Andrews PAWS Center, and adoptions out of PVAC ceased. The roughly $3.2 million facility’s main purpose is to educate the public on how to be responsible pet owners, with the hope that eventually it will help lower the amount of animals that find their way into PVAC. However, Lee Ann Shenefiel, chief animal services officer for the city of Austin, said community education issues aren’t necessarily specific to the Valley. The way a shelter treats its animals can eventually reflect on to the community, she said.